A License - Win 26 events. B License - Win 16 events. Burnout Elite License - Beat all Events. 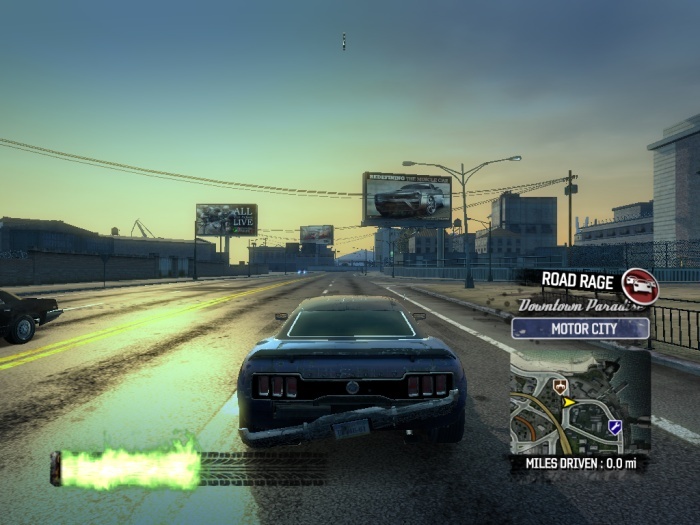 Burnout Paradise License - Win 45 events. C License - Win 7 events. D License - Win 2 events. Unlockable Cars and Paint Jobs. Carbon Hydros Custom - Beat all Showtime Road Rules. Carbon Ikusa GT - Beat all Time Road Rules. Carson Carbon GT Concept - Find All 400 Smashes. Carson Fastback - Get a B Class License. Carson GT Concept - Get a Burnout Driving License. Gold Paint Finish - Win all Elite License Events. Hunter Mesquite - Get a D Class License. Jansen Carbon X12 - Land All 50 Superjumps. Krieger Carbon Uberschall 8 - Complete 2 Sets of Online Challenges. Montgomery Carbon Hawker - Hit All 120 Billboards. Nakamura SI-7 - Get a C Class License. Rossolini Tempesta - Get an A Class License. Watson 25 V16 Revenge Racer - Complete all Road Rage Events. Nakumura Firehawk GP Competition - Complete all Burning and Midnight Rides. Nakumura FV1100-TI - Complete 19 Burning or Midnight Rides. Platinum: Win all Elite License Events with a 100\% completion. the big jump on South Mountain Drive. start to move around the city. stick Xbox 360" to turn it on. If you hold it, you will hear a different siren. The following cars are a reference to more famous vehicles. Jansen 88 P12 Special : DeLorean from Back To The Future. Hunter Manhattan Special : Ecto 1 from Ghostbusters. Carson GT Nighthawk : K.I.T.T. From Knight Rider. Hunter Cavalry Special : General Lee from The Dukes of Hazzard. Jansen P12 Diamond - Complete all 500 online challenges. Will Increase Your Money Fast.